QNAP has introduced the TS-2888X, an AI-ready NAS that combines hybrid storage and a ready-to-use software environment. Built using next generation Intel Xeon W processors with up to 18 cores and employing a hybrid storage architecture with eight hard drives and twenty high-performance SSDs, the TS-2888X also supports installing up to 8 graphics cards and runs QNAP’s AI developer package, QuAI. The TS-2888X also introduces a comprehensive software environment for organisations to easily set up and maintain AI applications, according to QNAP. Besides the exclusive QuAI, QNAP’s Container Station enables a range of open-source tools and frameworks for the AI workflows readily available to users. Lastly, the TS-2888X features flexible backup tools and snapshot protection to ensure data security while also allowing efficient disaster recovery. 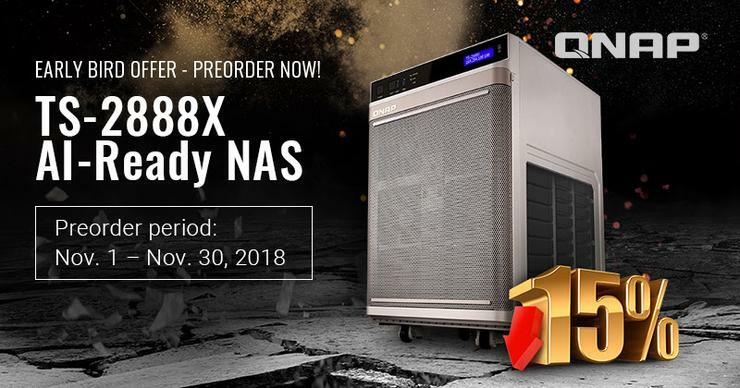 For more information about hardware specifications, software features and pre-order details, visit https://www.qnap.com/solution/ts-2888x-early-bird/en/.